Founded and directed by Paul G. Stoltz, Ph.D., the GRIT Institute assembles great minds to create, accelerate, and expand the science and practice of GRIT. "Bringing together diverse scholars and practitioners from around the world to engage in the sort of fresh, bold GRIT-related inquiry and application that enriches human lives." Dr. Stoltz began his grit-related research 35 years ago, expanding his efforts with the formation of PEAK Learning, Inc., in 1987. More than one million individuals representing 63 countries have participated in some version of PEAK's grit-related assessments and research. This spurred Dr. Stoltz and the PEAK Team to create the landmark upgrade from "grit" (basic grit, or "grit 1.0") to GRIT (GRIT 2.0). 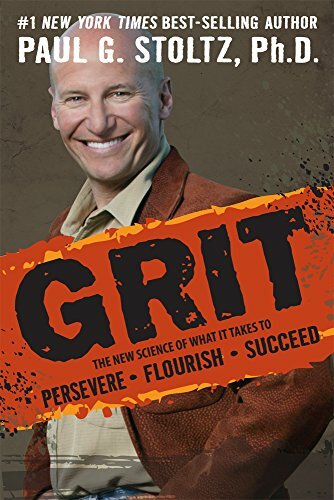 While "grit" focuses primarily on the quantity or magnitude of grit one shows, GRIT is the first validated construct in existence to substantiate both quantity and quality of GRIT as predictive of success. Currently, GRIT related research is taking place in a broad range of populations and locations. In an effort to grow and advance GRIT among students, PEAK has created the Student GRIT Gauge™ with additional insights for that population, from age 12 and older. The GRIT Gauge is the most proven, advanced, robust, and valid measure of GRIT in the world. It is an online assessment that takes approximately 5-6 minutes to complete. Interested in using the GRIT Gauge™ in your research? Go to our Research Request page. GRIT™ Mindset: Lone Star College-Tomball strengthens mindset capabilities and career readiness. Thank you, we are "gritful" for your interest! Powered by PEAK Learning, Inc.